Where another year usually means another Call of Duty, Activision made a big splash yesterday (or earlier, thanks to a leak last week) with the reveal of Call of Duty: WWII, this year’s entry in the massively-popular series. 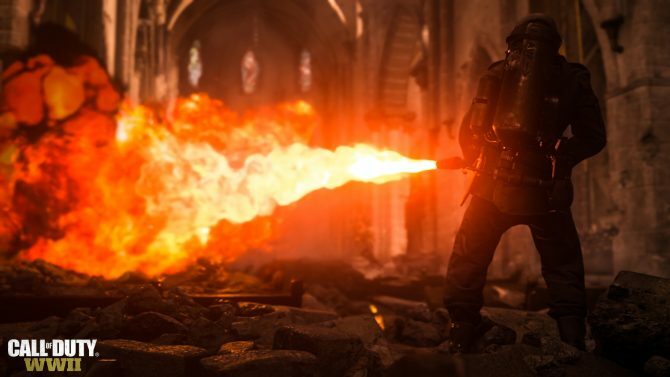 Even more notable, however, was the fact that the series will be heading “back to its roots” in the era of World War II, marking the first game to be set entirely in the Second World War since 2008’s Call of Duty: World At War. Following the past few titles, such as Ghosts, Advanced Warfare, Black Ops III, and Infinite Warfare that took the series into the far-flung future, the DualShockers staff collected our thoughts and reactions to the reveal and first trailer for Call of Duty: WWII: what are our thoughts on the newly-revealed title and heading back to World War II? What do we hope to see from the new title and the series moving forward? Call of Duty: WWII is a bold move off the beaten path for the long-running series: I’m definitely behind it. I hope that Sledgehammer Games proves that Call of Duty still has the ability to innovate the FPS genre while remaining true to its roots. The campaign looks good – I just hope it can do the time period justice. Everything felt fresh in the new trailer, and that’s something I haven’t said about CoD in a couple of years. I’m interested to see what new directions that Sledgehammer takes the series in, and I hope that they can make it their own. World War II has obviously been done a bajillion times. And I don’t really trust a Call of Duty game to tell a fresh and original story within this theatre. However, anything is better than another space or futuristic CoD. Some of the earlier versions of Call of Duty set in World War II will always hold a special place in my heart. Call of Duty: World At War was my first rated M game (I know, I’m young), and I even have fond memories of playing Call of Duty 3 at friends’ houses. 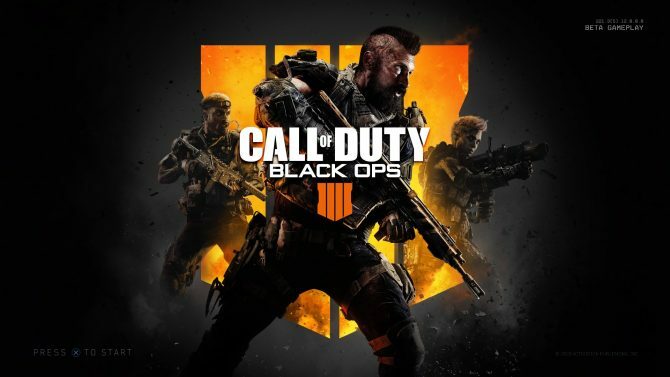 I was a fan of the series up until Call of Duty: Black Ops II, which I never finished, as I am more interested in FPS’s that tackle historical conflicts than ones set in the future. I was intrigued when I first heard the rumors about Call of Duty: WWII, and after seeing this initial reveal, I am very curious to see how this title turns out. 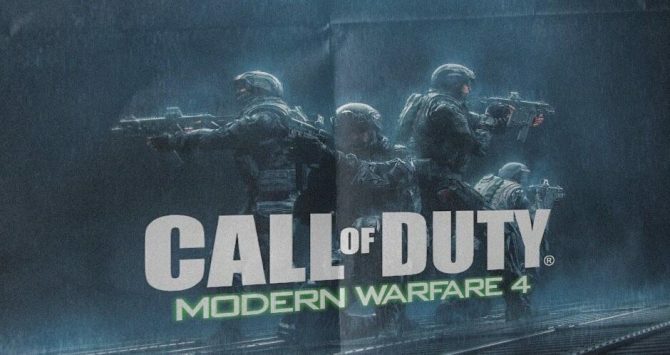 It seems like the Call of Duty series is going back to its roots with modern technology, and could be the breath the fresh air that the series needed after Infinite Warfare. This might be the game that gets me back into the series, and I am very eager to see what Sledgehammer Games does with it. At what point did we decide that it was all right to go back to World War II and why? Is this franchise’s originality so extinguished? After flinging us into the distant future where Kit Harington is supposed to pass as a space pirate, did Activison just decide there was nowhere else to go but backward? Well, people seem to have no problem fighting the universally most hated enemies in all of history, so lets dredge that back up. Yes, the game looks gorgeous. Yes, it may even have an intriguing plot. The multiplayer will probably continue to be its biggest draw. These are things we expect from Call of Duty, but maybe we should expect a little more. How many times have we stormed the beach of Normandy in video games? Does it even matter? Maybe as adult gamers we’ve played many video games based World War II before, but there are many who haven’t. I feel now that we are in a new generations of not only technology, but also gamers: it’s time to storm these beaches again and relive this brutal and depressing war. I feel that Sledgehammer Games has what it takes to take this concept and create a thrilling single-player experience, and I couldn’t care less about the multiplayer. 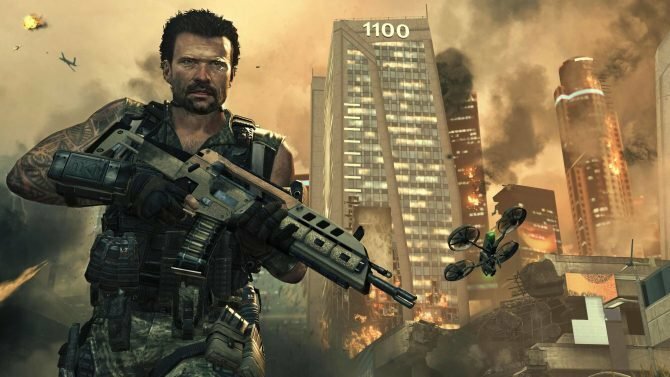 Call of Duty continues to be a series that many love to hate – just take a look at the overwhelmingly negative reception to last year’s Infinite Warfare reveal and the title’s lukewarm sales and you’ll see that Call of Duty has been a series in need of a refresh for quite some time. I’m certainly among those that are lapsed fans of the series in recent years – the last entry I played to any large extent was Black Ops II, and in the years since, I just never found my interest piqued by the futuristic installments like Infinite Warfare and Advanced Warfare. Given my love for many of the series’ earlier installments like Call of Duty 2 and the genre-defining Modern Warfare, Call of Duty: WWII and its return to the series’ roots in World War II-era history may have rekindled my interest in the series. The reveal trailer is certainly a step in the right direction, and as last year’s Battlefield 1 proved, going back into the early 20th century can still be invigorating thanks to the technical power of current generation hardware, of which I hope to see WWII utilize the potential of more powerful consoles to bring one of the most realistic interpretations of World War II that we’ve seen in games yet. 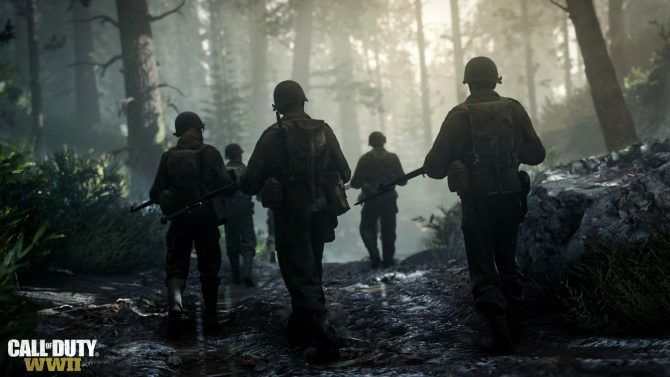 I’m not without reservations though when it comes to Call of Duty: WWII – the trailer already shows that we’re going to return back to some of the most familiar imagery of World War II (such as Normandy) that has been well-trodden over many times not just in video games as a whole, but just in Call of Duty‘s past entries alone. 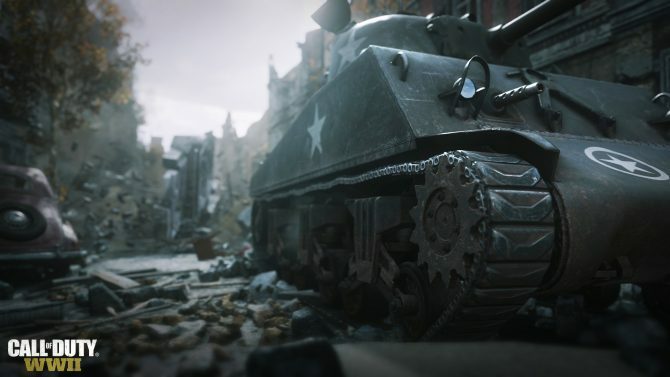 However, despite some of my hang-ups of Call of Duty wanting to return to being an interactive take on Saving Private Ryan or Band of Brothers, I hope that WWII can (overall) be the reinvigoration of the Call of Duty franchise that we’ve all hoped for – and that the series has needed – for quite some time now. Starting with a positive note, the trailer certainly looked good, and going back to World War II is exciting. On the other hand, Sledgehammer and Activision picked arguably the least interesting front, and protagonists that have been done over and over again. We get to see the usual Saving Private Ryan scenario with a sprinkle of Band of Brothers, with the usual rookie American protagonist impacting with the usual tropes, a topping of solving in-unit conflict with fists (because that really creates that “Hollywood movie” vibe, right?) and larger-than-life Allied characters that are as new as Christmas. In the meanwhile, the “ruthless” enemy appears to be depicted as the usual incarnation of “darkness.” Exactly as we saw in Battlefield 1, and in many other AAA FPS games before, developers and publishers seem to forget that wars are fought by multiple sides, and most of those multiple sides were made by soldiers whose stories deserve to be told, regardless of whether their nation won or lost. Unfortunately, Call of Duty: WWII doesn’t seem to take that chance, at least from what we saw so far, in favor of the usual and the overdone tropes. I hope to be wrong, but I’m not holding my breath. Of course, game developers are entirely entitled to portray what best suits them, and the game still has plenty of potential to be enjoyable. Yet, it’d be nice to see someone daring to explore something different, one day. I wasn’t expecting the trailer to excite me at all, so I was pleasantly surprised when I found myself smiling. I told myself that I wouldn’t buy anymore CoD games besides Treyarch’s games as they have the best stories, but I’m happy to say that I will be buying this one. I’m looking forward to the simplistic nature of the game: while I enjoyed Black Ops‘ near future setting and technology, Call of Duty‘s home will always be World War II. After watching the latest trailer for Call of Duty: WWII, I can honestly say that I am genuinely excited for this release. Sure, one can make the immediate comparison to Battlefield 1, but does that really matter if, at the end of the day, we are receiving a quality shooter that goes back to the series’ roots? My love for the franchise has slowly diminished over the last few years but not because of the gameplay. Rather, the themes surrounding the recent games all seemed a little underwhelming and too futuristic for what I have been wanting in a Call of Duty title. It’s refreshing to know that I’ll finally be able to hit the shores head on, much like many WWII soldiers did. For now, we’ll just let the dust settle from the explosive trailer Activision just dropped: I’ll see you guys in the trenches! Now that you’ve heard our impressions of Call of Duty: WWII, it’s time to share your own! What are your thoughts on this year’s entry in the Call of Duty series? Are you excited about the prospects of the series returning to its World War II roots? Comment down below!